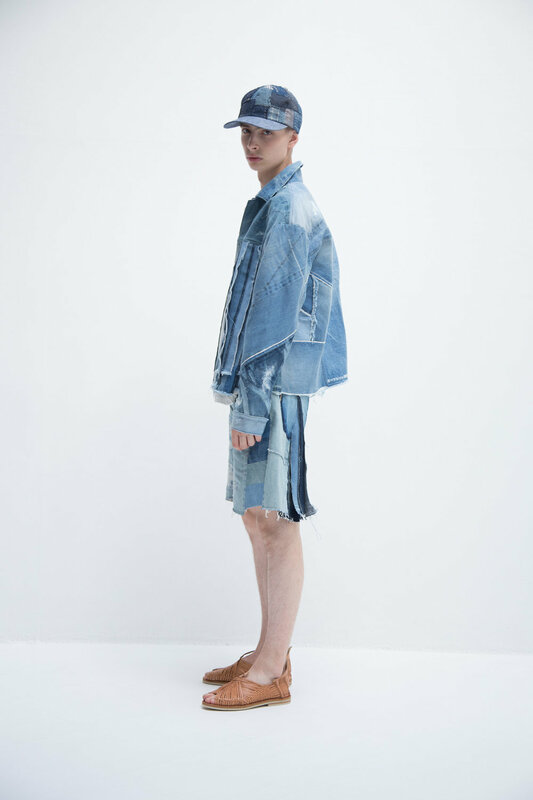 KURO is the Japanese brand that, having begun in the Spring/Summer season in 2010, has grown to become one of the most celebrated denim brands in Japan. KURO was first launched at Pitti Uomo 2010 as a men’s premium denim line by Yusuke Yatsuhashi, born and raised in Tokyo. He appreciates the beauty of form and architectural approaches. With the self-studies of fashion design, his collections feature modern minimalism. He travels frequently to the factories and ateliers to make garments from scratch. This is also his philosophy of fashion: to wear the culture. In the Tokyo-based fashion scene, he is always developing original materials, creating new forms of garment, and challenging different ways of expression. KURO means black in Japanese and is the color of the eyes and hair of the people of Japan. It represents their sensitivity through the designs and garments. In 2013 KURO expanded its design direction towards a contemporary men’s and women’s ready-to-wear line. The collections are made in Japan throughout the complete production processes and showcase the intricate craftsmanship, innovative and artistic original fabrics, exquisite sewing techniques, and strong bonding with traditional artisans. 2016 Selected by RIMOWA as one of the well-known individuals representing culture and characteristics of Japan along with Takeshi Kitano, Toyo Ito, etc.